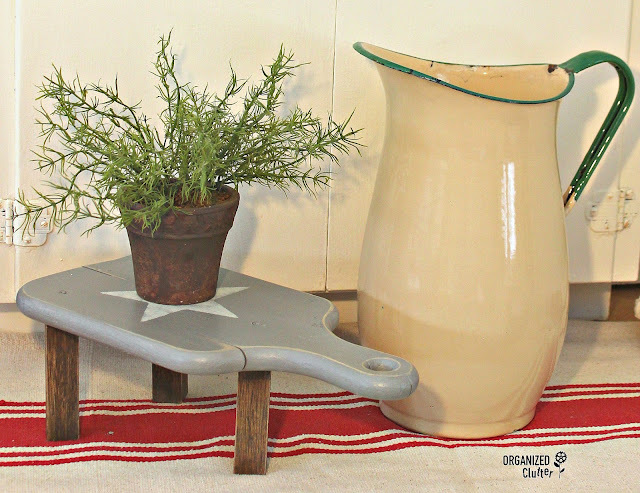 Continuing with makeovers from my midwinter rummage sale haul, I grabbed the old cutting board with cracks. 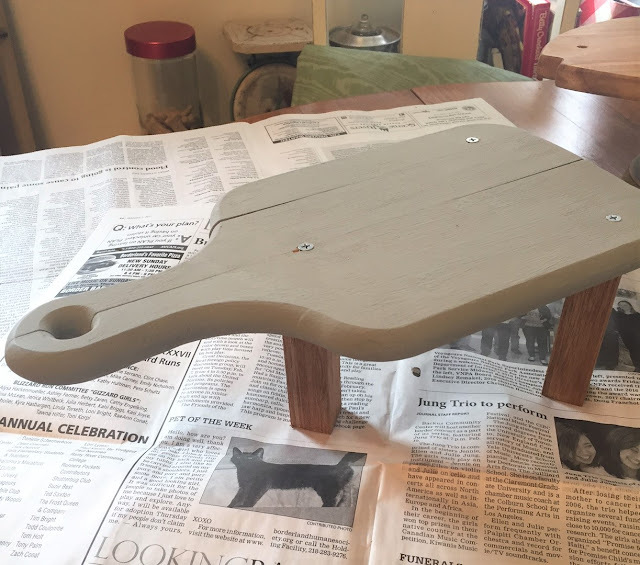 First I painted the cutting board with Rustoleum Chalked Country Gray paint . I had a partial portion of my 1" x 1" x 36" square dowel from my previous project here and cut three 3" legs for my cutting board. I screwed them right through the top the of cutting board and touched up the screws with paint. I also sanded the whole project with 100 grit sandpaper. 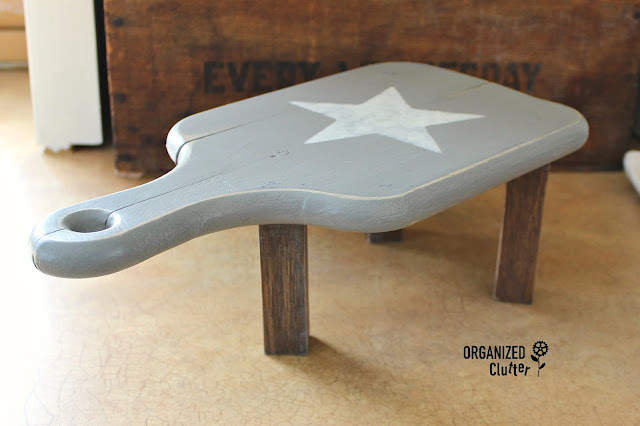 I used my Plaid Star stencil to add an light ivory craft paint star to the center of my cutting board shelf. Then I sealed the whole project with Varathane Crystal Clear matte water based poly. This project is one of a kind. Unique. And fun! 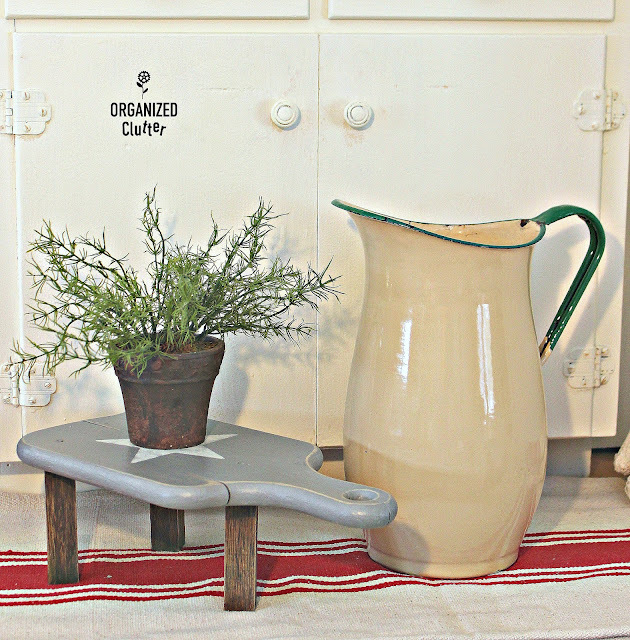 It's country/farmhouse style for your kitchen! 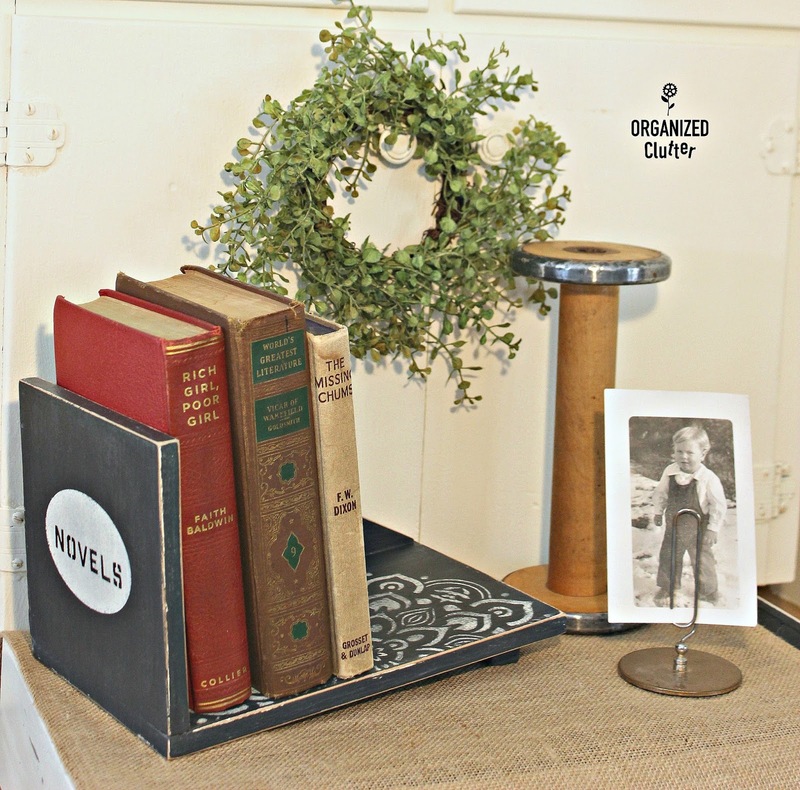 Easy and inexpensive rummage sale upcycled decor! 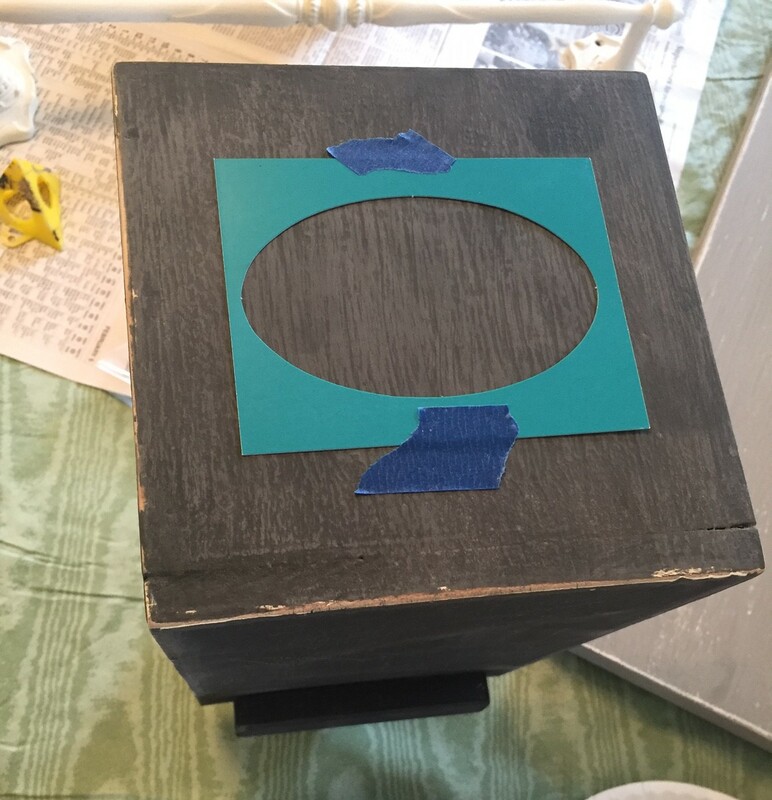 My next project is the up-cycle of the small light stained wood desktop bookcase/book shelf. First I painted the book shelf with Decoart Americana Chalky Finish Paint in Relic. 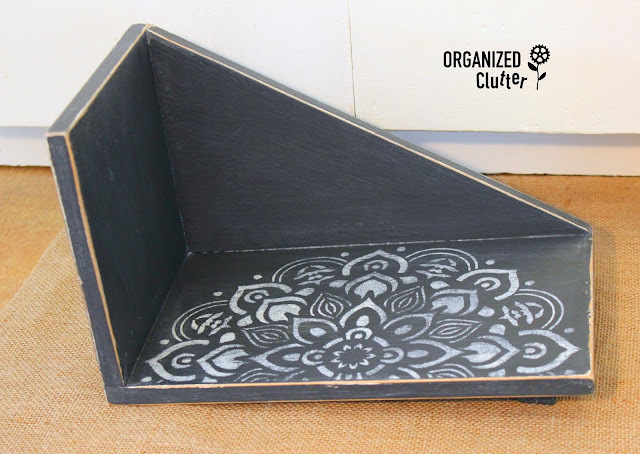 I stenciled the interior bottom of the book shelf with my Decoart Mandala stencil in light ivory craft paint. On the tall side of the book shelf, I used my Plaid Decor Icons stencil to add a label in light ivory craft paint. 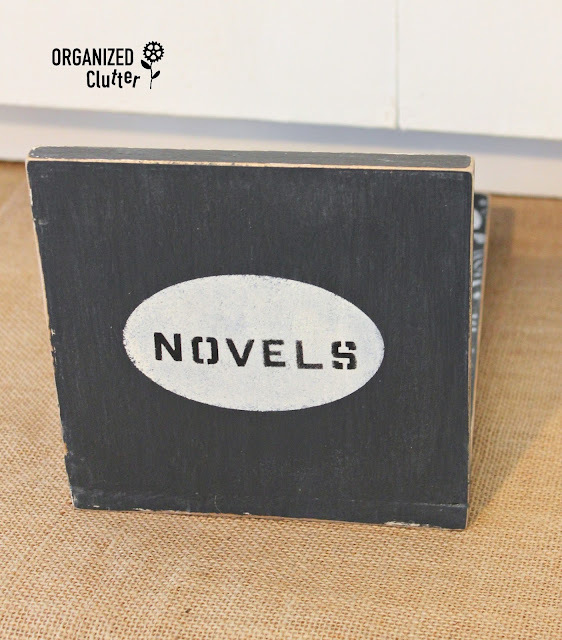 Next I used Duro Stencil It 1/2" stencils for the word "NOVELS". 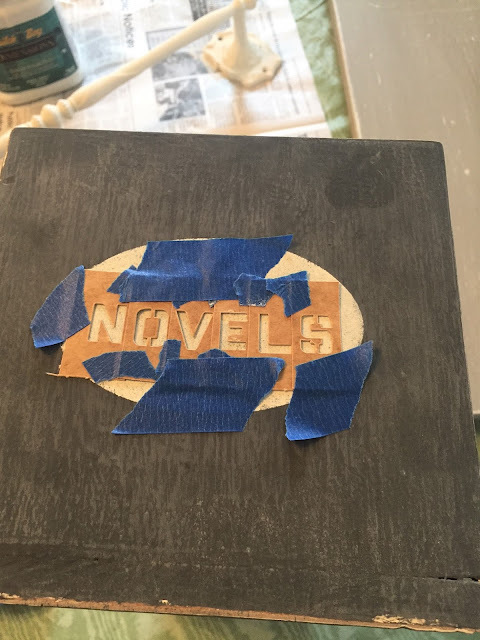 I cut the letter sides down to place them closer together and taped them together and down to my book shelf with blue painter's tape. It doesn't look pretty but it got the job done. I sealed my book shelf project with Varathane Crystal Clear Matte water based poly. And my taped together Duro Stencil It stencil on the end. You could use this on your desktop for non-fiction books, or on a kitchen counter for cookbooks or on a table for well loved fiction. Stock up on a few stencils, some chalk paint or chalky paint and up-cycle some thrift shop and rummage sale finds for fun new one of a kind decor! Carlene, I love the mandala stencil....AWWWWW super job as always! That is inspired! I love that mandala stencil. You had a very creative idea for that wooden whatever it was. 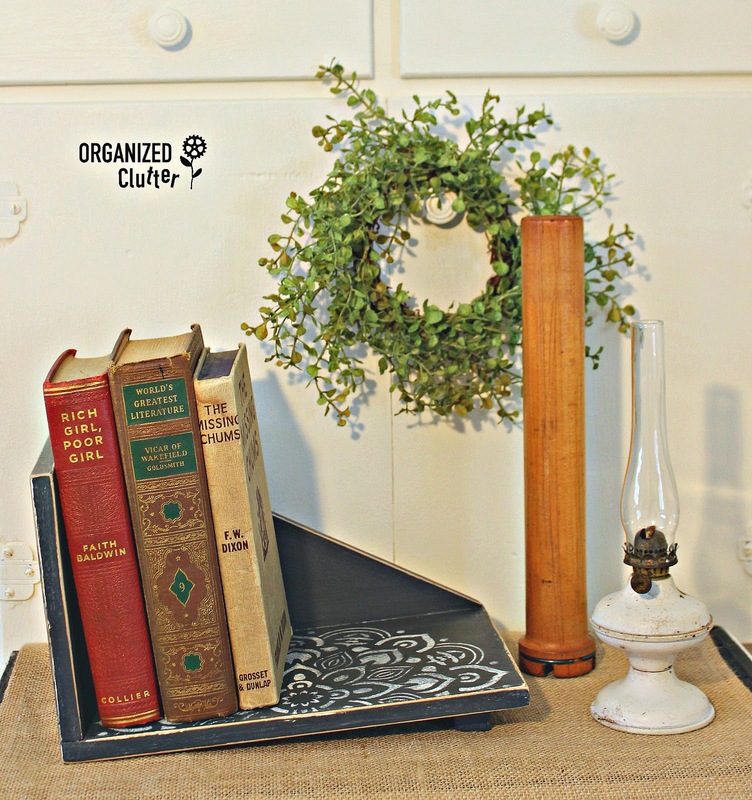 I am a big fan of upcycled decor! I find this an amazing art!